Berlin Is A Tech Hub, So Why Are Germany's Internet Speeds So Slow? Germany is Europe's largest economy, but business leaders warn it is in danger of losing its edge because of sluggish Internet connections. The government has promised to speed things up. 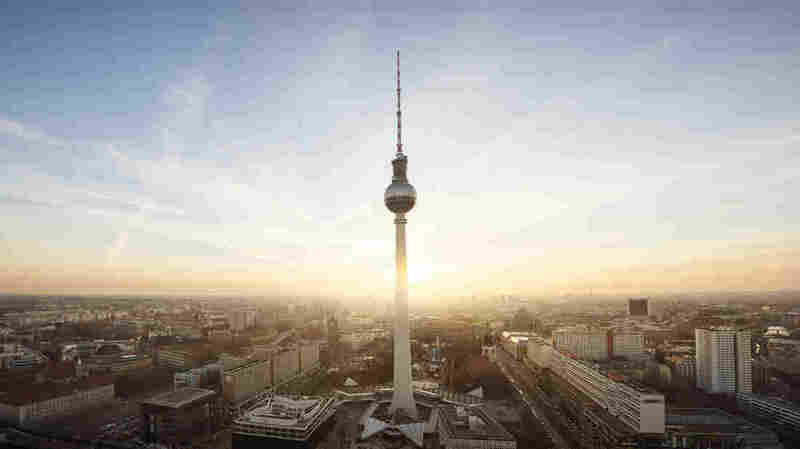 Berlin is a tech hub, but 70 percent of the city's businesses have complained to the city's Chamber of Commerce and Industry about inadequate broadband. Berlin's flourishing tech scene attracts talent from across the globe. At a startup incubator in the western part of the city, an international team recently launched an app called SPRT, which connects sports enthusiasts. Amy Cooper, a 20-year-old SPRT employee who moved to Germany from Britain last June, complains that Berlin's Internet speed is so slow, it feels like the old dial-up days she has heard her parents reminisce about. "We're working in a coworking office where there's loads of startups, everything's online," Cooper says. "We use it every second of the day, so it's important for us that it works and that it's reliable. And most of the time, it's not, and that can be really frustrating." Germany is Europe's largest economy, but business leaders warn it is in danger of losing its edge because of sluggish Internet connections. While other countries are thinking about whether to upgrade their cellphone systems to 5G, Germany is still grappling with 3G. A report by Germany's Federal Network Agency last year showed that 29 percent of German Internet users reported Internet speeds of less than half of what was promised by service providers. Claudia Engfeld of the Berlin Chamber of Commerce and Industry says 70 percent of the city's businesses have complained to her office about slow and inadequate broadband. Engfeld says it's not only an issue for new tech companies, but also for the city's established Mittelstand (midsize) engineering firms. "If you are doing 3D printing on an industrial level, you'll need to be fast," Engfeld says. "You can't wait two days till your machine has communicated to the printer to do something. This is a disadvantage that Berlin-based entrepreneurs have in comparison to other cities throughout the world." The Chamber of Commerce launched an online map tracking where subpar broadband is affecting businesses in the city. Since last summer, more than 4,000 companies have contributed to the map, pinpointing areas with connectivity problems. Engfeld says in some parts of Berlin, connections are so patchy that companies have had to move or ask staff to work from home, where Internet reliability is greater. Engfeld says having access to a good connection depends on luck, and how far you are from a distribution box. 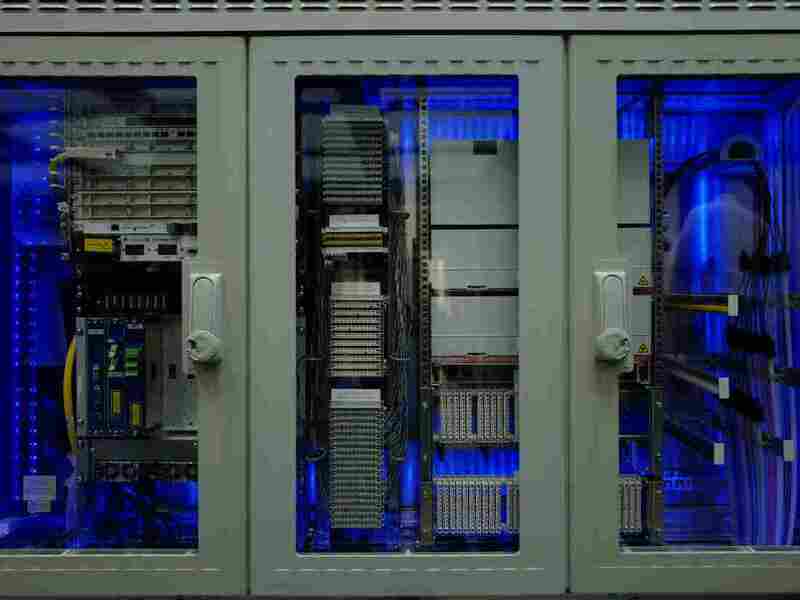 A cabinet containing components of a broadband network using optical fiber is on display at Germany's Ministry of Transport and Digital Infrastructure. Many CEOs blame Deutsche Telekom, the former state provider, which still dominates the domestic telecommunications market. Instead of installing fiber-optic cables, Deutsche Telekom has been fixing and improving its old copper telephone system, a process the telecommunications giant calls "vectoring." Engfeld says relying on old technology this way is the problem. "In Germany, you will find almost everywhere copper cable that's not capable to go faster than 250 megabits per second," she says. "The average reality is about 50 megabits per second. That's quite poor." According to the Organization for Economic Cooperation and Development, less than 2 percent of Germany's broadband connections are carried by pure fiber-optic systems. Deutsche Telekom spokesperson Georg von Wagner insists that most customers don't need anything near speeds of 1 gigabit per second, the standard speed Germany can offer with pure fiber optics. "Of course we could have decided, four or five years ago, to get rid of the copper wires and we could have replaced them with fiber-optic cables. If we had gone this route, 10 to 15 percent of German households would now have access to download speeds of up to 1 gigabit a second," von Wagner says. But, he says, fiber-optic coverage is expensive and would benefit relatively few customers. "The rest of the country would only have an average download connection of 16 megabits," he says. "Instead, by improving the old copper wiring, 80 percent of households in Germany have access to download speeds of up to 50 megabits per second." Tech policy journalist Tomas Rudl says Deutsche Telekom's fiber-optic strategy — or lack of one — was shortsighted but was meant to save money. "Deutsche Telekom's reasons for investing in the old copper wires makes complete financial sense," Rudl says. "It's much less expensive to rig the older tech than it is to dig deep into the ground and install fiber-optic cables." He stresses that the government also has to take its share of the blame. "Although Deutsche Telekom was privatized, the state is still one of its major shareholders," Rudl says. "So it's within the government's own interests to ensure that its infrastructure policies and funding benefit a major German job provider." But the government now sees the benefits and necessity of fiber optics. Chancellor Angela Merkel's cabinet has promised to help subsidize the rollout of fiber-optic broadband by 2025. For Cooper at the SPRT startup, a 2025 rollout seems too little, too late. It's bad enough that the Internet goes down regularly at her office, but the creaky network also supports mobile phones and she is concerned SPRT's customers can't get the coverage they need to use the app she helped create. "Should you really have to think about those things in Berlin," she asks, "one of the biggest and most important tech cities in Europe?"